The person is licensed or otherwise authorized to practice law in the State of Colorado pursuant to Colorado Supreme Court Rules. Section 1 of the bill establishes that if a person, other than a licensed attorney or person authorized under federal law to represent others in immigration matters, engages in certain practices that amount to providing or offering to provide legal advice or legal services in an immigration matter, the person is engaged in a deceptive trade practice. The attorney general or a district attorney may seek civil penalties against the person under the “Colorado Consumer Protection Act”. Section 2 requires a notary public or “notario” to provide a disclaimer in any advertisement of his or her services, stating that they are not a licensed attorney authorized to practice law in the State of Colorado, that they are not immigration consultant, nor an expert in immigration matters. 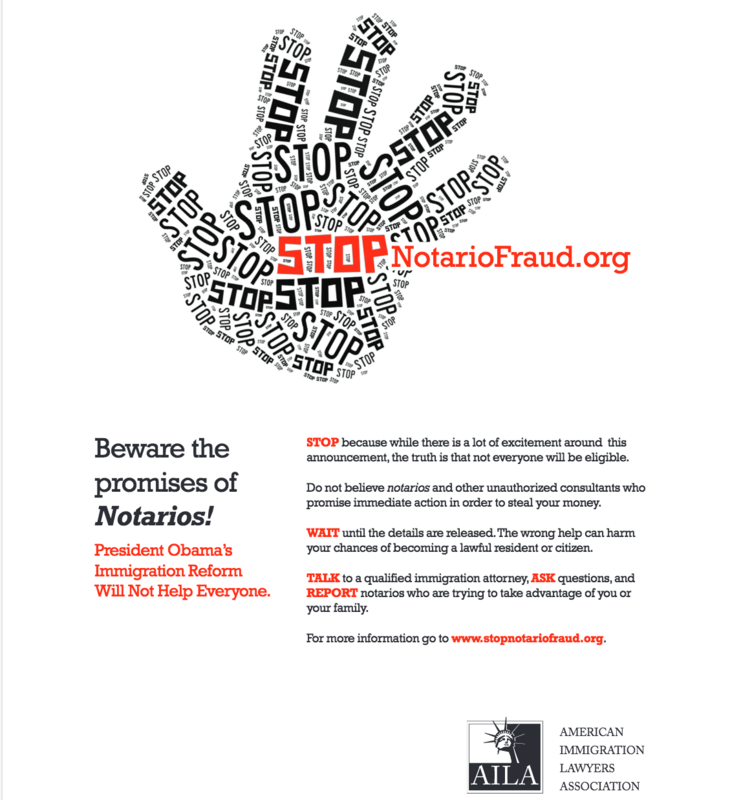 As such a notary public or “notario” cannot give legal advice or accept fees for legal advice in the United States. Thus far, the bill has been signed by the President of the Colorado Senate and Speaker of the House. The bill is currently making its way to the governor for official signature. Please remember to ask the person who is conducting your legal consultation whether they are an attorney licensed to practice immigration law in the United States. If they are an attorney, you should ask for their bar number and the state in which they are licensed. You can verify whether an attorney is eligible to practice law by searching for their name and bar number on the respective state bar website. You should not make payment to any person or sign any legal agreements until you verify the attorney’s information. To read the complete legislation please click here. For more information on how you can protect yourself from deceptive practices of non-attorneys please click here. For more information about where to report scams click here.